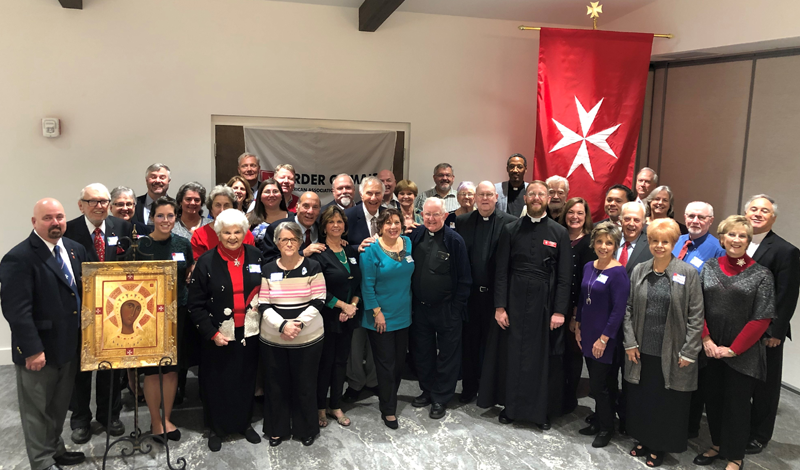 Members of the Northeast Florida Area gathered together for their Annual Mass and Dinner at the Marywood Retreat Center. 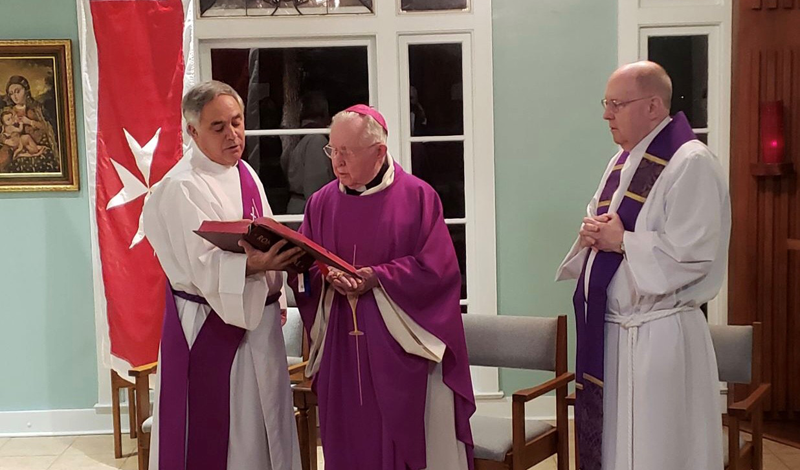 This celebration began with a private Mass in the Chapel of the Diocese of St. Augustine’s Marywood Retreat Center on the banks of the St. John’s River. Mass was offered by Bishop Emeritus John Snyder, with Area Chaplain Msgr. Mike Morgan, and newly installed Deacon Deputy Chaplain Larry Geinosky. A reception and dinner followed in the lovely, but not quite fully renovated, River Room at the Retreat Center. 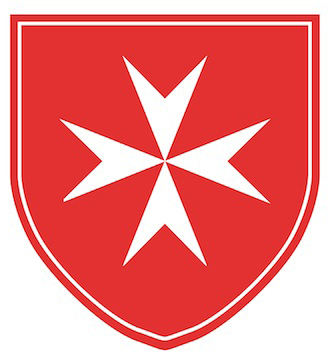 Part of the festivities was an auction of wine from the vineyards of the Order of Malta in Italy. Proceeds from this auction benefit the Sulzbacher Center Homeless Shelter in downtown Jacksonville, one of the Area’s local Blessed Gerard Projects, where members regularly purchase, prepare, and serve meals.